Y’all. 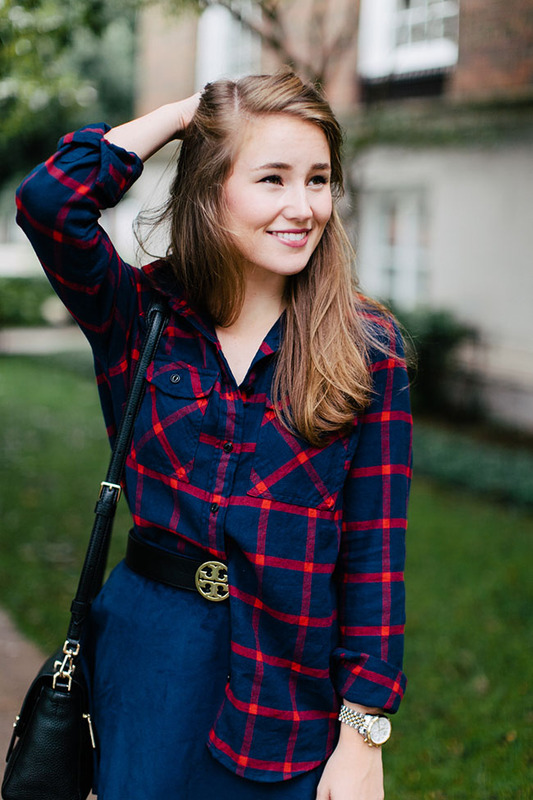 Now that it’s feeling like fall around here, I’m fighting the urge to wear a flannel every. day. Can anyone else relate? 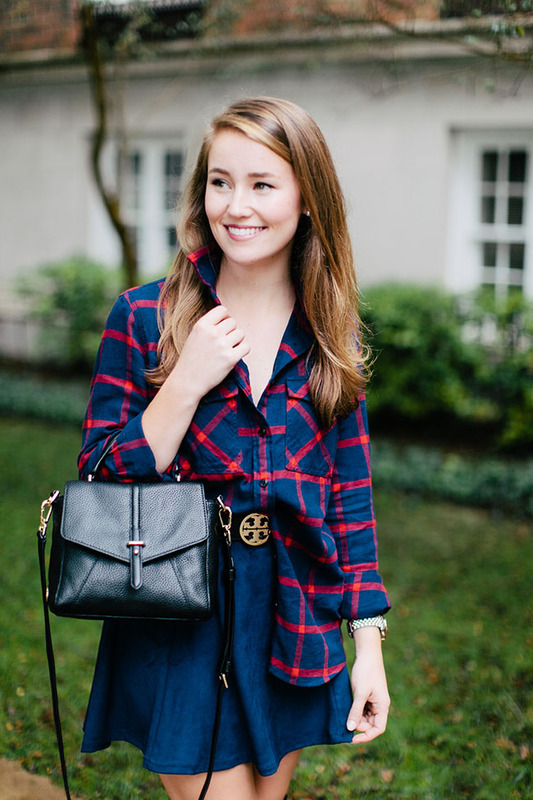 This navy and red number (which you last saw in this post) is so cozy and classic that it has been on heavy rotation. I love that it’s forced me to get creative and find different ways to style it! When I came across this navy suede swing skirt, I knew I’d found a way to mix up the button down + jeans combo. Suede skirts are everywhere this season, but I’ve yet to come across one in such a unique, beautiful color. 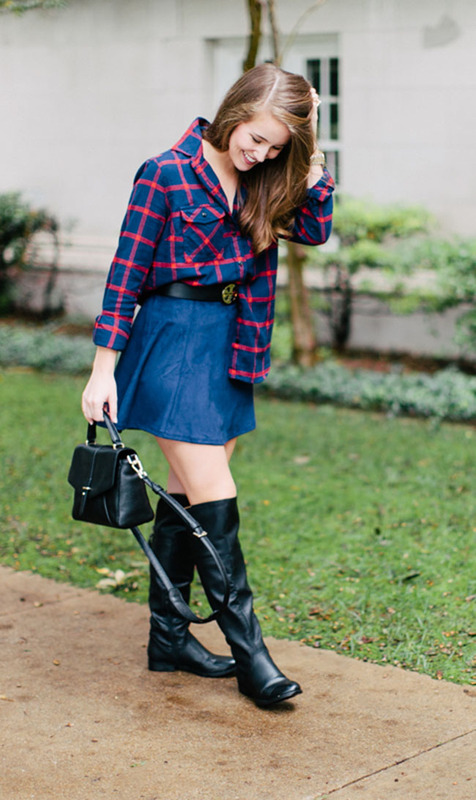 Belted up with my oversized flannel, and complimented with a chic pair of over-the-knee boots (that are just $45), it makes for a lovely fall look that is completely classic with a bit of an edge. If you’re on the hunt for the perfect suede skirt, take a look at this one, this one (scalloped! ), and this one! I have a couple and have found myself wearing them with everything from ballet flats to riding boots. 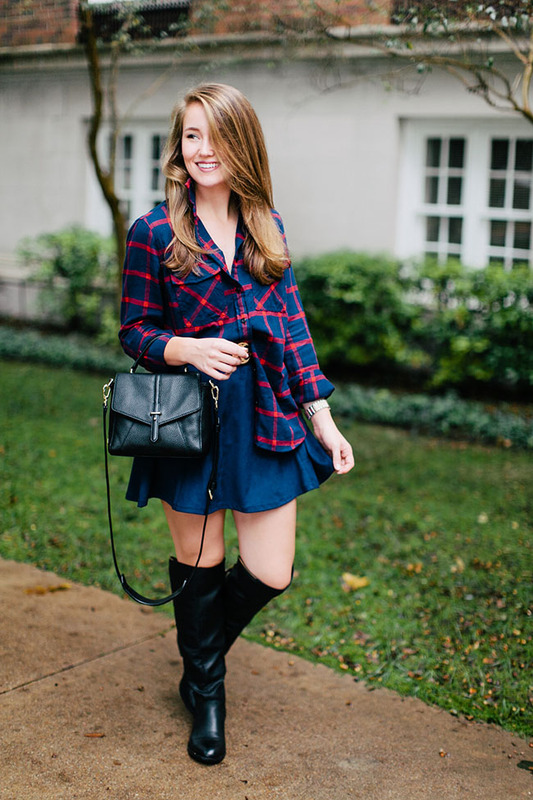 Such a fun way to mix up your fall wardrobe! P.S. You may have noticed a new constant in my recent blog posts… this criss cross pearl ring! It’s such a delicate, trendy take on the classic pearl accessory. I love it! This is an adorable outfit! I love the top and the boots! Perfect fall look! I really love how you made a switch to blue suede as opposed to the classic camel color. Gorgeous, Kate! Love that shirt – I’d wear it so much! 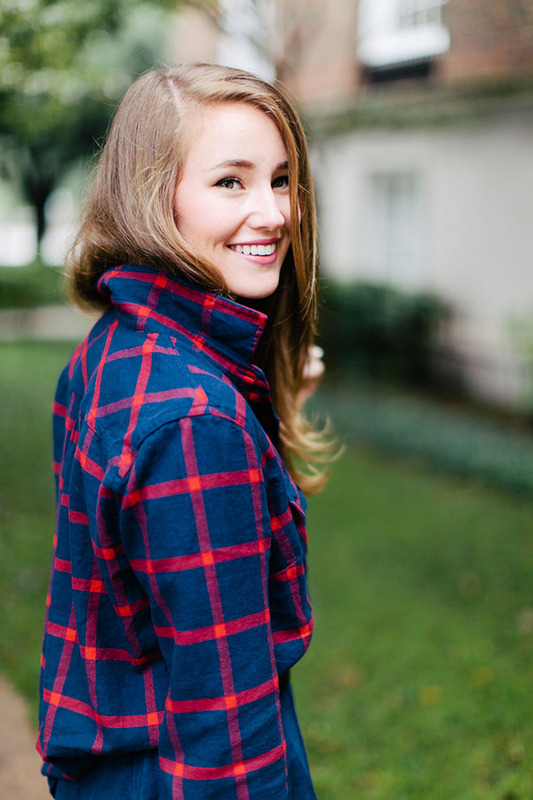 I’m all about that flannel! Love this look. Love the western vibes in this look! Perfect for fall in Texas! That ring is adorable as well, I’m really thinking I need a suede skirt!